Probably the best shampoo I have ever used. My fine, limp hair actually has body and thickness! This shampoo is like nothing else i've ever tried ! Keeps your hair cleaner for so much longer than any other shampoo, and you can actually feel the volume activate in your scalp even on the second day after washing. Soo good for fine hair ! Got this in a beauty box and was excited to try it. First time I used waaay too much and the lather was insane. Then, because its so expensive I now use it as a second lather after another CR shampoo when I want volume. Yes, my hair is "rough" afterwards and difficult to comb through, but perfectly manageable if you use a conditioner. The volumising effects are great and my fine hair is actually stylable and it stays put. I have just bitten the bullet and bought a full size one. It will last me a year or more I think. My hair has no need for extra volume, but urges for moisture and manageability. And this product definitely gives it together with gentile scalp scrub. Absolutely one of the best hair products I’ve ever tried. I am absolutely in love with this product. I have very soft straight hair and it’s extremely hard to find a product that will give them volume . This paste works like a charm. The volume lasts for hours!!!!! I received a sample of this in a previous beauty box and it's magnificent. I have thinning hair and even have a bit of mild balding on my scalp. 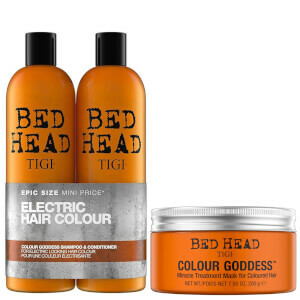 Not only does this give you wonderful volume - it gets your scalp SUPER clean. 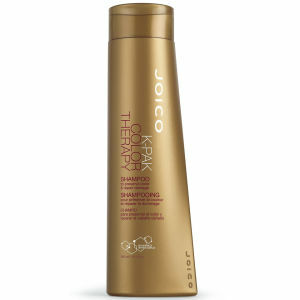 I have dry ends and greasy roots and it removes the greasiness completely while giving me luscious, lustrous volume. I'm chuffed. It's also got a lovely smell of roses. This is expensive - but if you need a high powered volumizer and need to remove greasy buildup and refresh your scalp - this is for you. This really is worth the price if you need it to do what it says. 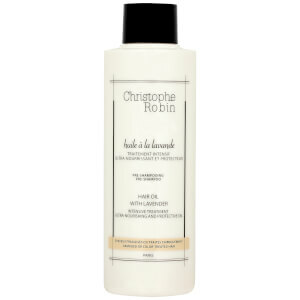 This is a very good shampoo smells lovely like French rose soap. I would advice not too use too much as it can be drying for the hair. My scalp feels and looks fresh and clean, My hair looks voluminous, thick, strong and really healthy. I recived this paste with beauty box, and I love it. It makes my fine hair feel great, it adds to my hair little bit roughness, like someone else commented and I like it. I got this in my beautybox a while ago, and after reading the other reviews thought i'd add my experience to the list. Perhaps this is not for everyone, but I absolutely love this stuff! I use a tiny little bit after my regular shampoo and foam it between my hands, then apply to scalp only, leaving the rest of my hair untreated. Yes, it makes my hair feel a little rough as well, but this makes it easier to style as my 'usual' hair is rather thin and slippery and won't stay put in any hairclip, updo or style. I am glad for the bit of roughness at the base and leave the rest light and airy to do as it will. Also great for a tousled, beachy look. After reading the directions for this, I thought won’t work for me. But I tried it anyway. I’m in love. I have ridiculously oily hair/scalp, and skin in general. And I have pretty thick hair with a full head of it. And this actually worked really well. A previous review said that it stripped all the natural oil from the scalp, and perhaps that’s why it worked so well for me. 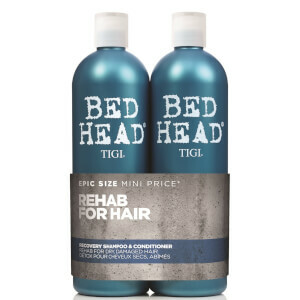 When I use this, I use only a small amount of my regular shampoo before, then I take about a 1/2 tablespoon of this and really work it in my scalp, not letting it get down to the lower half of my hair. I rinse, then use conditioner, comb through, and then rinse again. Works so good. When I use this, I actually find that I can leave my hair unwashed for up to 3 days, which for me is unheard of! I’m lucky if I even go a full day without my hair needing a touch up with dry shampoo. Definitely some mixed reviews on this, but I love it.